- With a white finish this hook complements anything that you choose to hang on it. STYLISH: Beautifully intricate Victorian design looks visually stunning inside or outside your home. 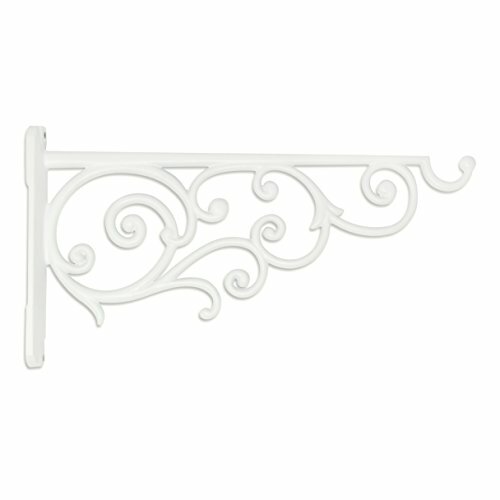 With a white finish this hook complements anything that you choose to hang on it. Blends seamlessly into its surroundings and goes great with most other colors. VERSATILE: Screw into wood fence posts, deck posts, or even indoor walls. Looks great within a variety of different environments. Curved tip helps securely hold items. GUARANTEE: GrayBunny offers premium products for your lawn and garden while exceeding highest industry standards and offering impeccable customer care. If you'd like your money back at any time within 6 months of your purchase, just ask. Click the "Add to cart" button to adorn your home or garden now!